To find out how to tag photos, please scroll to the bottom of this page. We tag photos to indicate which runners are visible in the photo. The photos will then appear on the runners' profile pages. Anyone may tag a photo, so go ahead and try it. If you are logged into myIMRA at the time or have the "Me" function set, then the website will log the fact that it was you who tagged the photo. The number of photos that you have tagged will then be displayed in the "Taggers" tab under the "Photographs" menu option. The runners are categorised into two groups - Foreground Runners and Background Runners. You should tag runners who are clearly visible in the foreground of the photo as Foreground Runners, otherwise tag them as Background Runners. You can use the green up-arrow icon or down-arrow icon to move runners between the Foreground list and the Background list if they have been tagged incorrectly. To add a runner, enter his/her number or name in the white box. When you stop typing, a suggestion list of possible runners will be shown and you may choose one by using either your mouse or the arrow keys and Enter button. If you don't recognise the runner, you will normally enter the race number he/she is wearing. To remove runners from either list, click on the red circular "remove" icon to the right of the runner's name. "Hard Photos" are photos in which a Foreground Runner's race number is either obscured or otherwise illegible. This runner can only be tagged by someone who recognises him/her. When you are tagging photos, if there is a Foreground Runner that you can't identify, simply click on the "There are runners I don't recognise" tick-box. 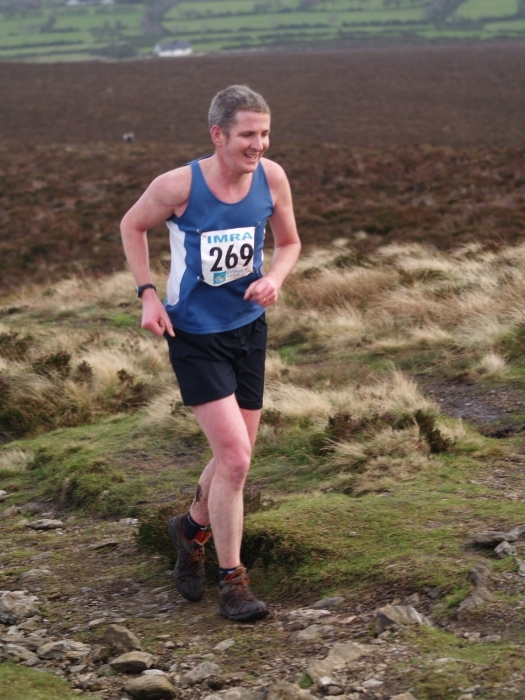 If you are a regular hill-runner who is likely to recognise most runners, then you can view all the "Hard Photos" by clicking on the "Random Hard Photo" option and then choosing "Finish and tag next photo". If a photo doesn't contain any runners or if they are very distant and unrecognisable, then click on the "No runners or only distant runners visible" tick-box. This will mark the photo as tagged, so that it doesn't appear for tagging again. If photos are poor quality or are duplicates, then you can mark them to be hidden so that they are not shown on the website. When you are finished tagging a photo, you should hit the "Finish and tag next photo" button at the bottom. This will mark the current photo as tagged and show you the next photo to be tagged. The next photo that will be shown to you depends on the "Next Photo" option you have chosen.